Fr. Biju and Br. 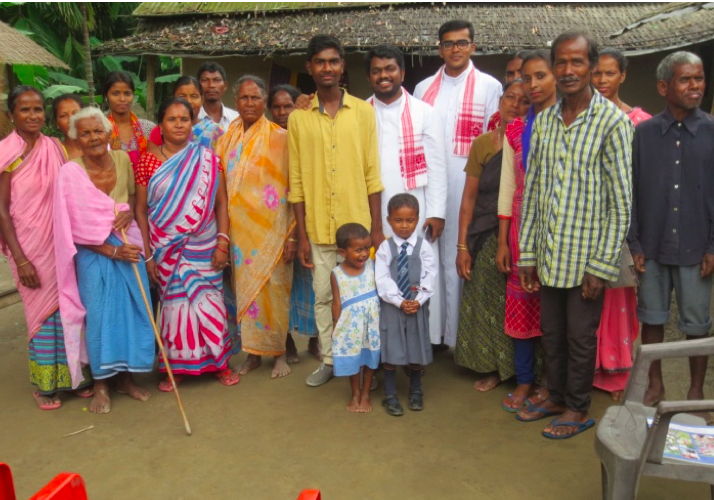 Jimmy visited John Paul’s (vocation candidate) house prior to brining him to Tamulpur. The whole family and the neighbors were present there to give him send- off. They also visited the parish priest and thanked him.